If you hit focus and metering right a white bird on a dark day can make for a nice image. 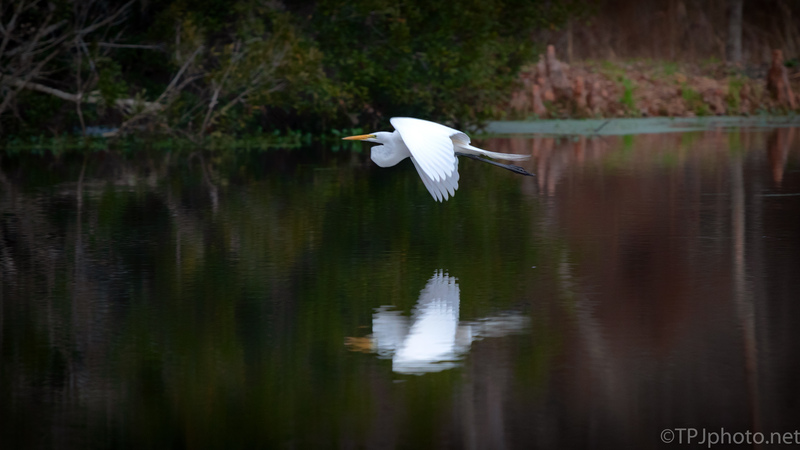 This Egret was flying low around a rookery. Beautiful, you’ve got all the egret and all the reflection, and space around to see the context. Stunning!